We help our Clients by building and executing effective business strategies. We show the right direction of development. We were the first public relations agency in Podlasie. Today, we are the only agency on the market so familiar with the dairy industry. Due to such experience, we feel entitled to provide what is the best and, therefore, we specialise in strategic solutions for the milk production and processing sector. Having organised a conference devoted to the situation of the dairy industry in Poland and the whole world for the first time, we did not expect our undertaking to be so successful. The Dairy Cooperatives Forum is the largest cyclical event in East-Central Europe and undoubtedly the most prestigious conference in Poland. “Milk with class” is a national social programme and a joint initiative of Polish milk manufacturers, the Healthy Nutrition Promotion Council and Tetra Pak company aimed at creating a healthy habit – drinking milk by children on a daily basis. The campaign turned into a model programme encouraging to drink milk at schools in many EU Member States as well as in Japan and China. From the earliest beginnings, we have carried out marketing and public relations activities to the benefit of this programme. The initiator of the creation of Chamber of Commerce of the dairy industry was Agnieszka Maliszewska. The idea was born from the experience of several years of the organization Dairy Cooperatives Forum. Effective promotion and lobbying activities aimed at strengthening the Polish dairy industry and dairy products on the domestic and foreign markets required an entity, that would represent the interests of Polish cooperatives and the dairy industry. First Communications has developed and implemented marketing concept and strategy for internal and external communications of the Chamber. Until today we deal with the management of the current activities of the organization and leading public relations actions. Silver Cross of Merit is being granted by the President of Poland to people, who went beyond the call of duty in their work for the country and society as a whole. Also it is awarded for generous helping to other, selfless public activity and charity work. 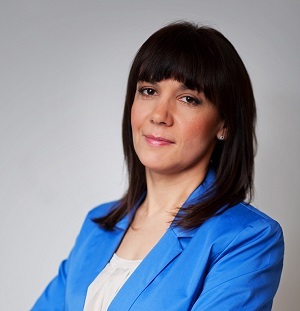 The Chairwoman of the Management Board of First Communications and Head of the Polish Chamber of Milk won the 2014 Dairyreporter.com Personality of the Year award. She has been the first Pole to receive such title. In appreciation of her services incurred for the economy development of Poland, Prime Minister and Economy Minister Janusz Piechociński awarded Agnieszka Maliszewska with badge of honor. CEO of First Communications, an expert of a milk market and Polish dairy industry with more than 20 years of experience. We always stay in the Client’s shadow. We care for his reputation serving as an advisor, originator, organiser and executor. Each project is a new challenge to us. Only permanent contact with the Client – listening to his expectations and needs of the environment can guarantee to achieve the goal. Our Client’s successes are our successes.